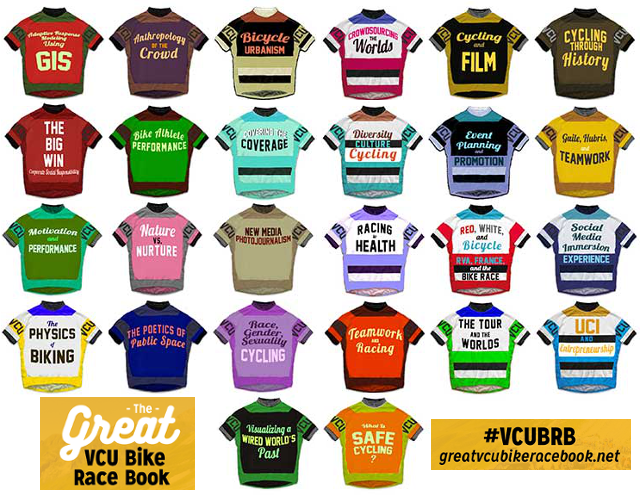 Coordinated by the VCU ALT Lab, the Great VCU Bike Race Book was a networked, multimedia, trans-disciplinary exploration of the 2015 UCI (Union Cycliste Internationale) Road World Championships, held in Richmond, Virginia. 26 classes were offered, addressing different aspects of the event, such as films and cycling, cross-cultural issues, cycling safety, biking in Richmond, and more. Participating students documented much of their work online.